Lactose is the principal sugar (or carbohydrate) naturally found, in various amount, in milk and dairy. 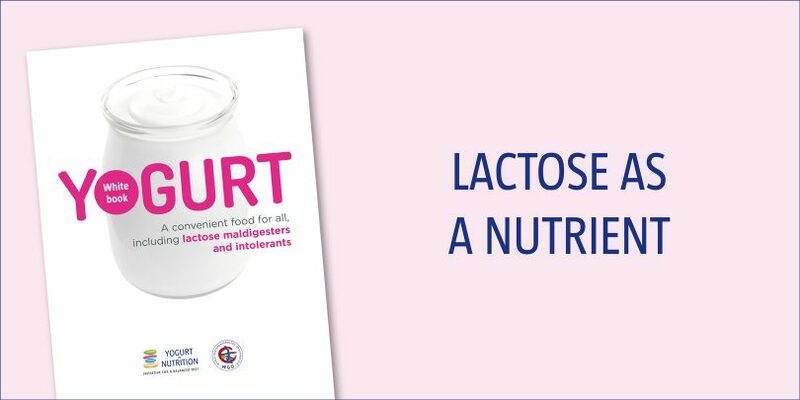 Lactase, an enzyme present in the small intestine, is necessary to split lactose into glucose and galactose, two simple sugars. Glucose is the body’s main source of energy, and can be found in several types of foods. According to more recent studies, lactose may also play a role in the absorption of calcium and other minerals such as copper and zinc, especially during infancy. (9) (10) Further studies are needed in order to confirm this hypothesis. 1. Misselwitz, B et al. United European Gastroenterol J 2013;1:151-9. 2. Lukito, W et al. Asia Pac J Clin Nutr 2015;24 Suppl 1:S1-8. 3. Vandenplas, Y Asia Pac J Clin Nutr 2015;24 Suppl 1:S9-13. 4. 4. Venema, K et al. International Dairy Journal 2012;22:123-40. 5. 6. Vandenplas, Y et al. Asia Pac J Clin Nutr 2015;24 Suppl 1:S9-13. 9. Kobayashi, A et al. Am J Clin Nutr 1975;28:681-3. 10. Ziegler, EE et al. J Pediatr Gastroenterol Nutr 1983;2:288-94.